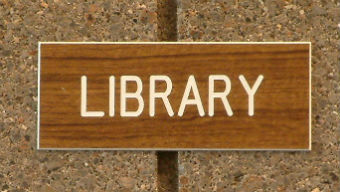 My gripe today is about some of the inconsiderate people you encounter on a visit to the library and to be honest, it is no wonder that many people are now beginning to shun these places in favour of obtaining their reading material via the Internet. To start with, it would be nice to just pay a visit to the library and browse for a while in peace without having to listen to idle gossip about someone's family or domestic situation, what's going on in the football league, who's sleeping with who in Eastenders etc. You know, if you want to have a discussion or a bit of chit-chat at least have the decency to keep your voices lowered or take it to somewhere like a pub or a bus stop! I don't know what it is about me, but if there's someone who is smelly or suffering from a heavy cold or flu, homeless or just plain loud, they will always find their way to the seat next to me. I then have to put up with them sneezing all over me, distracting me with their constant babble or giving me nits! Fantastic... you're going to sit down somewhere and there are plenty of empty seats, so WHY do you have to come and sit right next to me? Another thing that really annoys me concerns people who eat food in the library. I'm a vegetarian and I hate it when someone sits next to me, pulls out a Cornish pasty and then proceeds to chomp their way through it, usually very loudly with bits of food dropping out all over the place. Disgusting! Oh, and the smell of these foul things are enough to make vegetarians like myself gag! Also, I can't help but notice the way that they ignore the prominent notices that say "No food to be consumed in the library". But of course that doesn't apply to them, does it? I've just had to move again because of the girl who plonked herself down next to me (although there were loads of other seats available) and has been sneezing and coughing ever since. Thanks, love - just what I needed! Why don't you stay at home as you are obviously quite sick? Or try to sit away from other people? Is it just me, or does any of the above drive other people round the bend as well? I will admit I have eaten sweets in the libary from time to time when using the computer. but does annoy me and it is always young people never adults but If I am using the com young people are sat playing games and being very loud I can always hear them even over my headphones it is very annoying as the libarary is meant to be a quite place. Even more annoying is when a child is a com with thier mother and shouting at top of there voice and the mother lets them carry on. I remember once I was filling out some paperwork and some kids found it funny to throw bits of paper at them so I told them " They think its funny to throw things at people " libararian heard me and told them to leave. I was in the library quite recently and there was a male member of staff standing over in the corner. Something about his behaviour didn't seem right. I was standing fairly close and was visible to him. Suddenly he broke wind in quite violent fashion. He had obviously made his way to that position knowing full well what his intentions were on arrival. Is this what we expect from library staff? Libraries used to be a place of quiet where you selected some books and, hopefully, expanded your mind. Maybe this is the new European way of doing things. I prefer things the way they used to be. Lost count of the number of homeless people in our local library, I had my coffee knocked over a couple of tines in the morning because of some idiot carelessly swinging their cider bottle onto the kitchen tables. The space between tables and books is narrow enough as it is, and would have been better designed if the homeless went upstairs to the reference library. But they have to go somewhere I suppose. Libraries are full of remaindered out of date books, and the scum of society unable to read them keeping the cold out from their souls. The only difference is that McD's are full of young chavs/chavettes and libraries are full of low life dole-scrounging scum who are pretending that they are 'actively' looking for jobs. Dead right, you may as well go into the nearest Mcdonalds, not much different from a Library, nowadays. @Friday lunchtime, years ago the library was somewhere you went to borrow books, now it seems like foreign 'students' go in there to hog the computers UK council tax payers have paid for and shout into mobile phones. There's one guy who comes in and he absolutely reeks - like he hasn't washed for days. It totally stinks up the whole place. He goes on the computers and the staff try and help him. you can see they are trying not to breathe too deeply. I have had to stop using that library as I got an itchy rash on my wrist after using one of the computers. Think there might be a connection. Yeah, I pretty much don't go to libraries much anymore because of all the noise. If I do go, it is to grab a book and leave. Gone are the days where libraries were actually places to read. Now they seem to be a combination of cafe and day care. Nobody would have the spine to say anything to them in case they were accused of being 'racist'. Why should we care? I'm in a library now, using the Internet and two people next to me have just brought in a bag with a Chinese takeaway in it. There's a really strong smell of garlicky food which is wafting throughout the whole library through the aircon system. They are using their hands to open the cartons and pick up chicken and are then using the keyboard. They're foreign students. Everyone is ignoring them and letting them carry on eating. What happened to rules and consideration for others? I was going to agree with you about some of the things you brought up in this gripe, but the comments you made about 'homeless' and 'having nits' were unjust. I am homeless and I certainly do not have nits! How would you like it if you lost everything you ever owned in a house fire, only to be looked at like a 'scruffy, not-infested' individual for being homeless? Where is your heart?